Indeed, some weekends are worth leaving the house for! For once, the weather was nice, the economy was (supposedly) picking up and EirtaKon was happening! 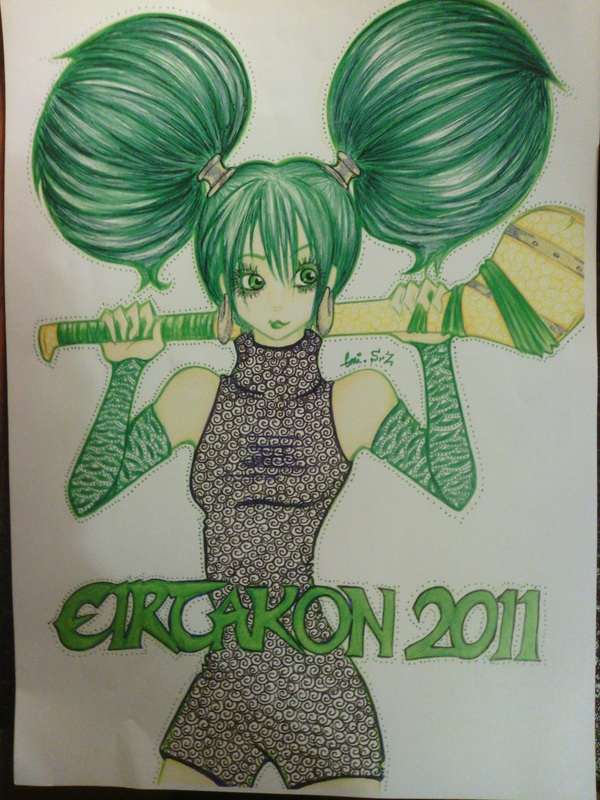 For those not aware, EirtaKon is the largest Anime convention in Ireland. Its roots go deep down to 2005 with as much as 200 attendees. Its root do go deep indeed but it’s trunk rises proudly upwards with more than 1200 attendees in 2010. I had the pleasure to attend (briefly) after a couple of years of being absent and I have to say I was completely amazed at what I was witnessing. 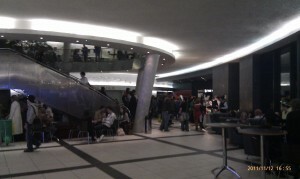 The venue was full and buzzing with excitement, fun and banter. It was massive, positive and alive. The Artist Alley was quite a sight too. Many, many artists were gathered having fun, conversing with one another, showing, trading, selling. Total fun and relaxed buzz in the air. 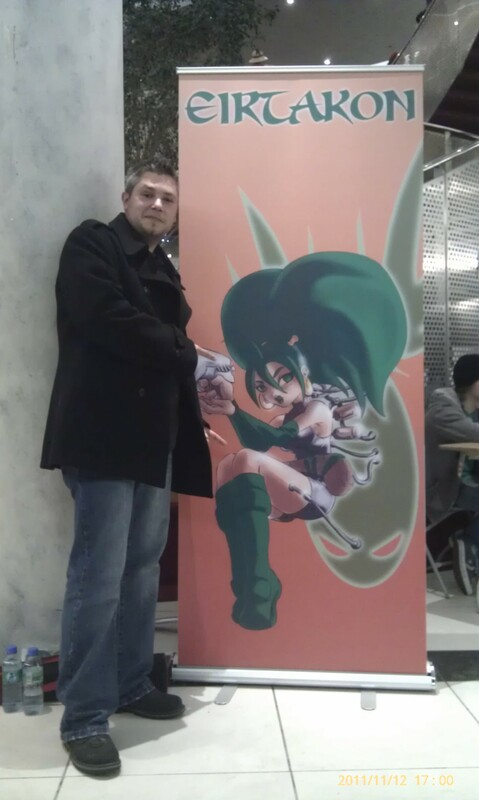 Hell, I even bought a Lori fanart to mark the occasion! I don’t know the artist’s name so I cannot credit her with it. If someone knows her, please enlighten me! Otherwise, I managed to grab some awesome swag! Mugs, hoodies, hats, posters, t-shirts… Fantastic stuff. I felt spoiled. Mark “MarkMI6” has done an awesome job at entertaining us as well as raising awareness of the Kon (needless to say, the entire staff has made a grand job of it). We even came to an arrangement for one of the banners. Lori ended up proudly advertised on biiiiig banners! And one of them happens to be in my possession. Super chuffed with that. Like I unlocked an achievement somehow. Anyway, just to wrap this up. 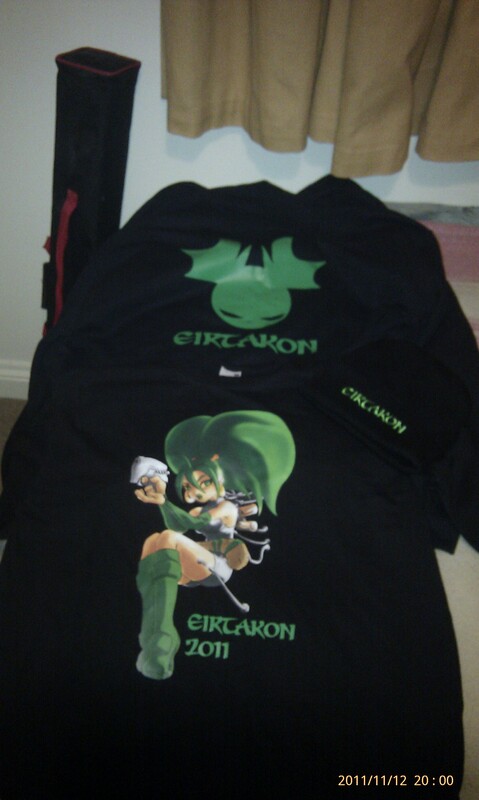 EirtaKon is happening again this year. When: November 9th – 11th Where: The Helix, DCU Don’t miss out. Early bird pre-reg tickets are 25€ Go get some!